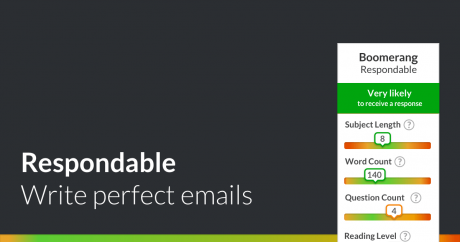 Want to write better emails? Boomerang for Gmail (Baydin), the guys behind scheduling your email in Gmail, have launched Respondable. Boomerang Respondable is a plugin for Gmail and and Outlook which applies artificial intelligence to help you write better emails. The way it works is by predicting email replies and making suggestions on improving the email and tone. When it comes to writing, this plugin is quite similar to other web plugins. For example, the Yoast SEO plugin to optimize a blog article or web page for readability and search presence (SERP – Search Engine Result Pages). Similar to that plugin, Respondable scores your message on the probability of receiving a reply and the variety of the factors described above. 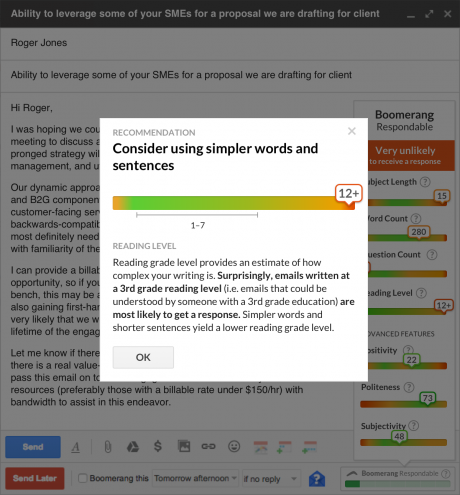 Respondable is free to use, but its more advanced features will cost you $15 per month as it will require a subscription to Baydin’s Boomerang for Gmail’s Pro and Premium plans. Check out the announcement on the Boomerang website here. 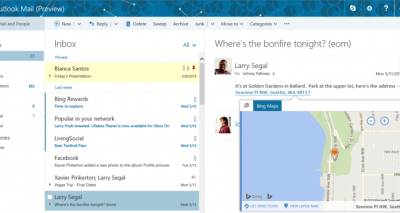 Use GMail or Outlook? 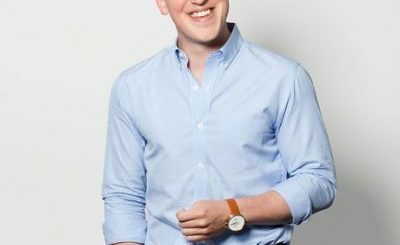 Time to let artificial intelligence help you write better emails.